Fancy a step back in time? 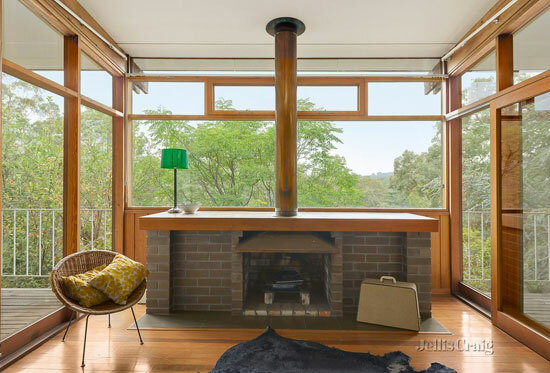 Check out this 1960s midcentury time capsule in North Warrandyte, Victoria, Australia. I know, it looks like a movie set or a page from a vintage magazine. But that’s certainly not the case. 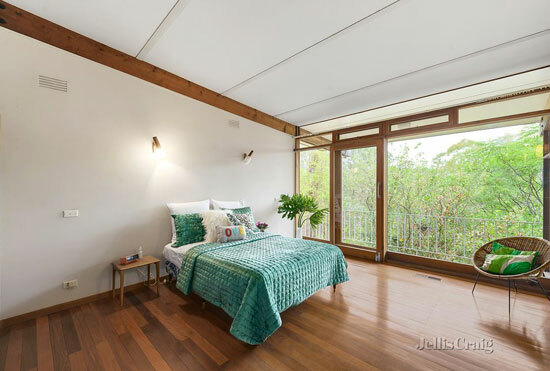 This is a house on the market right now. But you will have to move quickly. More on that in a moment. 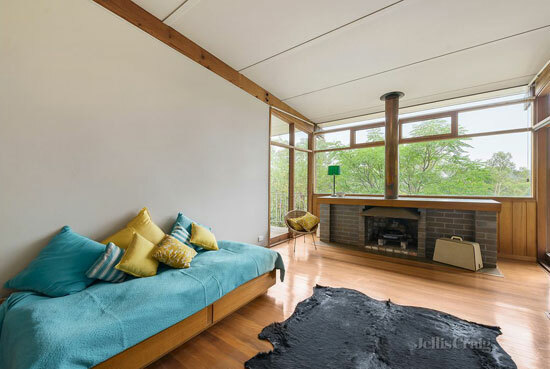 First off, let’s talk about the house, which dates from 1965 and is described by the agent as a ‘modernist sanctuary’, the work of renowned architect John Hipwell. 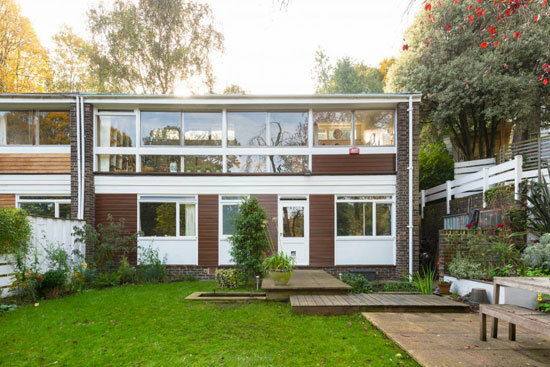 The agent also adds, unsurprisingly, that this ‘perfectly-preserved’ house has had just one owner since 1965. Which is perhaps why the house looks so incredibly authentic. 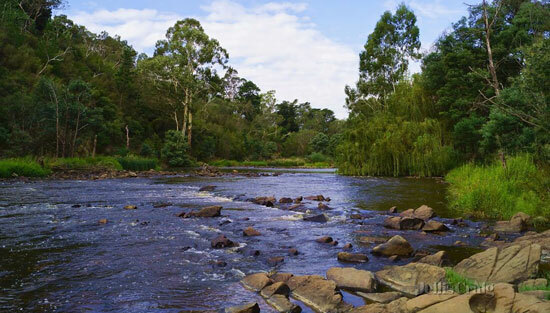 A lovely location too, with the house just 100 metres from a ‘sandy swimming hole’ on the picturesque Yarra River and bordering the Yarra River Linear Reserve. 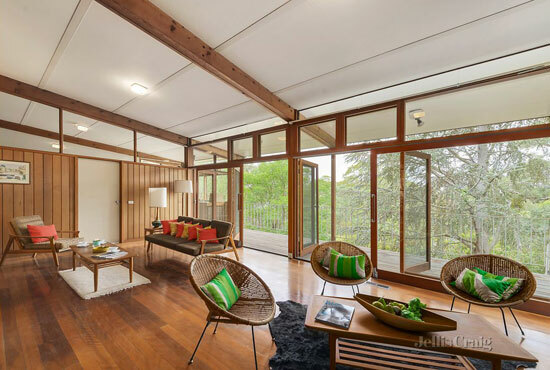 That location perhaps dictated the design, which has all of that floor-to-ceiling glazing to take in all of those wonderful surroundings and equally attractive distant views. If you want more, take a step outside and take it all in, courtesy of the decking just outside. 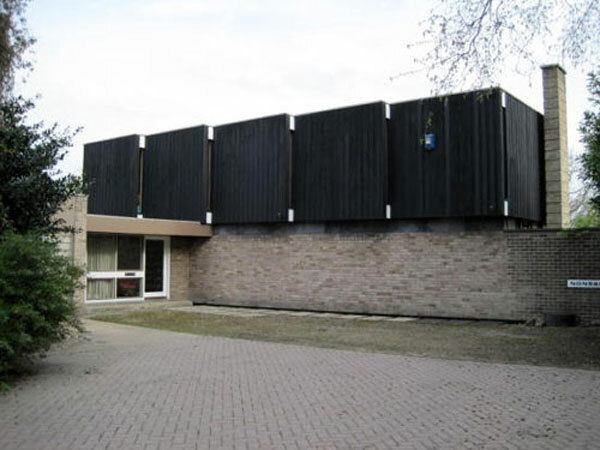 The house was built at the top of a sloping 4,483 sq.metre plot and constructed using ‘now unobtainable’ timber. 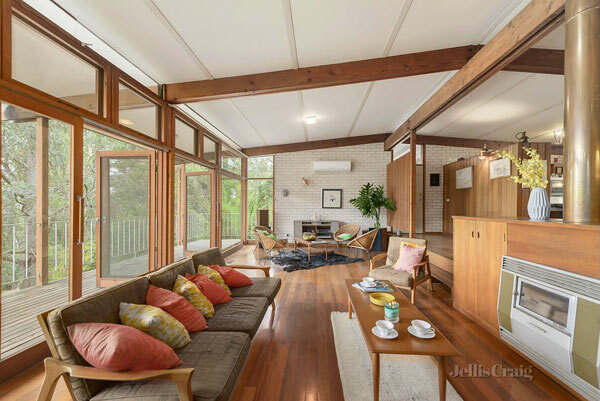 The design itself is something I would associate more with Californian living than Australia, although plenty of interesting MCM houses do pop up from time to time in that country. See the site archives if you want more. 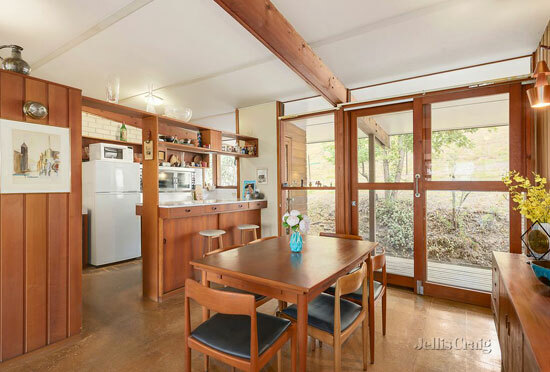 That’s a selling point, but it’s the interior that really puts this one on the map. Just look around. This is more of a museum than a house. I don’t know if all the furniture is staying, but you would hope that someone can come to an agreement for it. It’s a key part of this house. 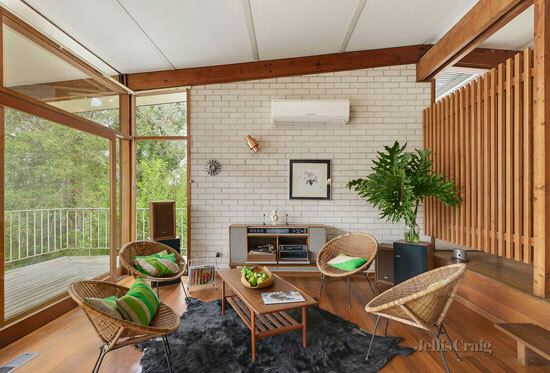 But so are the wood partition walls, the vintage heaters, that amazing audio system, that original bathroom and the original kitchen units and breakfast bar. For fans of the era and the style, this is the dream. As for space, you get a ‘substantial’ lounge, upper-tier dining area with a large family kitchen, two double bedrooms and an open-fire snug which could work as a third bedroom if you need it. 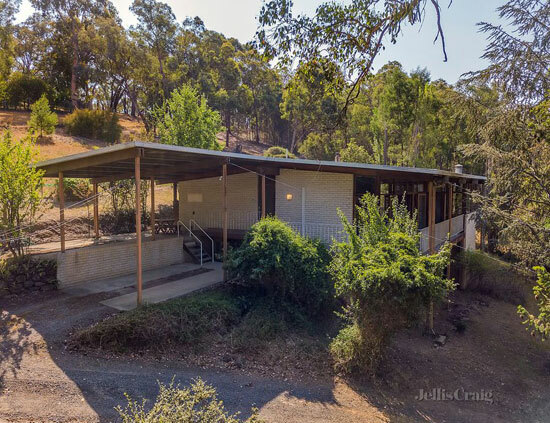 There’s a double carport outside as well as a good-sized, natural plot. Now, the tough part. 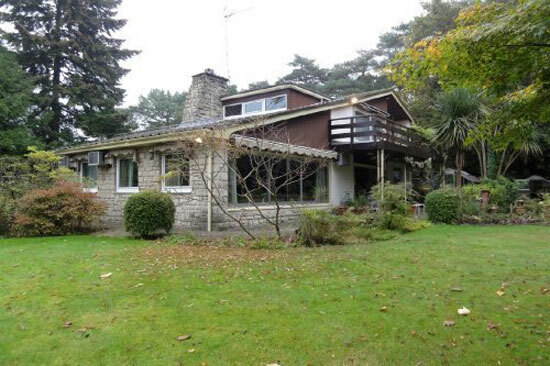 This is an auction property and that auction has been brought forward due to the amount of interest in the house. 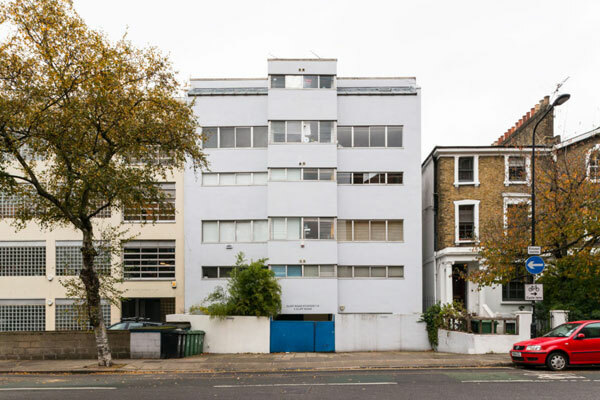 I would guess the agent is tired of showing round architectural tourists as well as genuine buyers. The new date for the auction is Tuesday 26th February and attendance is by registration only. The guide price is $800,000 (Australian dollars), which works out at around £438,000. I would guess the actual price might be a little over that with all the interest, but you never know. 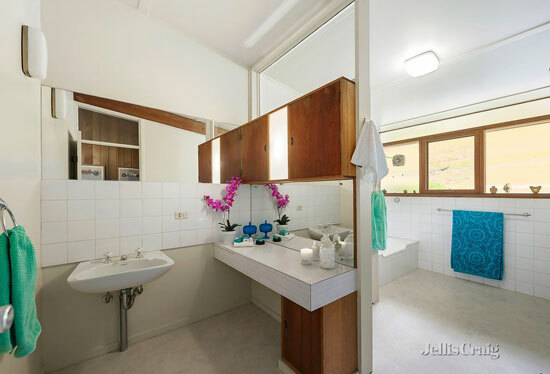 Images and details courtesy of Jellis Craig at realestate.com.au. For more details and to make an enquiry, please visit the website.